Museum-lovers will get to explore Fukui Prefectural Dinosaur Museum and D. T. Suzuki Museum. Get some cultural insight at Gassho Zukuri Minka-en and Maruoka Castle. 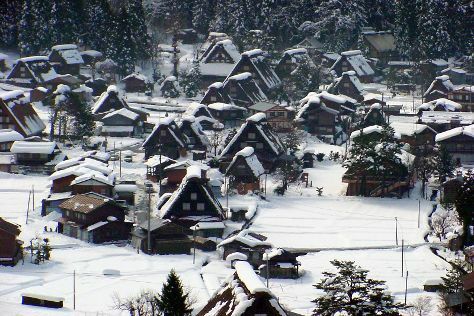 Get out of town with these interesting Kanazawa side-trips: Shirakawa-mura (Shirakawago Shiroyama Observatory Deck & Wada House), Chirihama Nagisa Driveway (in Hakui), Tojinbo Cliff (in Sakai), Gokayama (in Nanto) and Eiheiji (in Eiheiji-cho). There's much more to do: admire the natural beauty at Kenrokuen Garden, admire the striking features of Tsuzumi Gate, explore the historical opulence of Kanazawa Castle Park, and contemplate the long history of Nomura Samurai House. To see other places to visit, reviews, traveler tips, and tourist information, refer to the Kanazawa trip itinerary maker. Vancouver, Canada to Kanazawa is an approximately 20-hour combination of car and flight. Due to the time zone difference, you'll lose 17 hours traveling from Vancouver to Kanazawa. Plan for a bit warmer temperatures traveling from Vancouver in September, with highs in Kanazawa at 31°C and lows at 21°C. Finish your sightseeing early on the 28th (Thu) to allow enough time to take a train to Kyoto. Your cultural itinerary includes sights like Gion and Kiyomizu-dera. You'll explore the less-touristy side of things at Eikando Zenrinji Temple and Kitano Tenman-gu 北野天滿宮. Go for a jaunt from Kyoto to Osaka to see Dotonbori about 1h 10 min away. The adventure continues: steep yourself in history at Fushimi Inari Taisha, head outdoors with Arashiyama, contemplate in the serene atmosphere at Kinkaku-ji, and browse the different shops at Kyoto Station Building. For other places to visit, ratings, and more tourist information, refer to the Kyoto trip itinerary builder. Getting from Kanazawa to Kyoto by train takes about 2.5 hours. Other options: drive. September in Kyoto sees daily highs of 34°C and lows of 24°C at night. Wrap up your sightseeing on the 2nd (Mon) early enough to take a train to Hiroshima. On the 3rd (Tue), take an in-depth tour of Hiroshima National Peace Memorial Hall for the Atomic Bomb Victims, appreciate the history behind The Cenotaph, then don't miss a visit to Hiroshima Peace Memorial Park, and finally examine the collection at Hiroshima Peace Memorial Museum. On your second day here, get to know the fascinating history of Miyajima, examine the collection at JMSDF Kure Museum, and then examine the collection at Yamato Museum. For where to stay, reviews, and other tourist information, go to the Hiroshima trip generator. Take a train from Kyoto to Hiroshima in 2 hours. Alternatively, you can drive; or do a combination of train, bus, flight, taxi, and ferry. Expect a daytime high around 26°C in October, and nighttime lows around 17°C. Wrap up your sightseeing by early afternoon on the 5th (Thu) to allow enough time to travel to Taketomi-jima Taketomi-cho. On the 6th (Fri), tour the pleasant surroundings at Kaiji Beach, take a leisurely stroll along Nishi Pier, and then stroll through Kondoi Beach. On the 7th (Sat), you'll have a packed day of sightseeing: get great views at Nagomi Tower, get to know the fascinating history of Island Countryside Settlement, then get engrossed in the history at Taketomi Folk Art Museum, and finally enjoy the sand and surf at Kubazaki Beach. To see traveler tips, maps, more things to do, and other tourist information, read our Taketomi-jima Taketomi-cho online itinerary creator. Getting from Hiroshima to Taketomi-jima Taketomi-cho by combination of train, subway, flight, taxi, and ferry takes about 5.5 hours. Expect a bit warmer temperatures when traveling from Hiroshima in October; daily highs in Taketomi-jima Taketomi-cho reach 33°C and lows reach 27°C. Wrap up your sightseeing on the 7th (Sat) early enough to ride a ferry to Ishigaki. Discover out-of-the-way places like Yonehara Beach and Scuba & Snorkeling. Relax by the water at Hoshisuna Beach and Nakamoto Beach. Change things up with a short trip to Pinaisara Falls in Taketomicho Iriomote-jima (about 2 hours away). There's much more to do: examine the collection at Tamatorizaki Observatory, go for a walk through Cape Ongazaki, add some adventure to your tour with a kayaking and canoeing tour, and steep yourself in history at Ishigaki Yaima Village. To see where to stay, more things to do, and other tourist information, refer to the Ishigaki trip itinerary maker. Ishigaki is just a short distance from Taketomi-jima Taketomi-cho. Expect a daytime high around 33°C in October, and nighttime lows around 27°C. Wrap up your sightseeing on the 12th (Thu) to allow time to travel to Miyakojima. 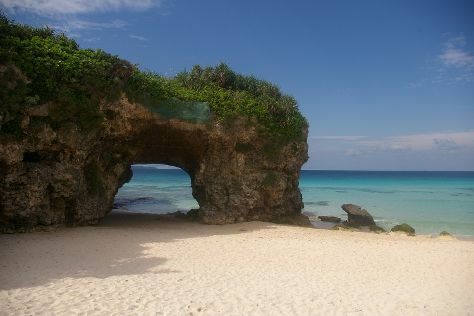 We've included these beaches for you: Aragusuku Beach and Maja Beach. Eschew the tourist crowds and head to Sunayama Beach and Ikema Ohashi Bridge. And it doesn't end there: stroll through Toguchinohama, enjoy the sand and surf at Hora Gyoko no Hama Beach, take in the views from Irabu Bridge, and don't miss a visit to East Henna Cape. To see traveler tips, photos, more things to do, and more tourist information, go to the Miyakojima tour planner. You can do a combination of taxi and flight from Ishigaki to Miyakojima in an hour. 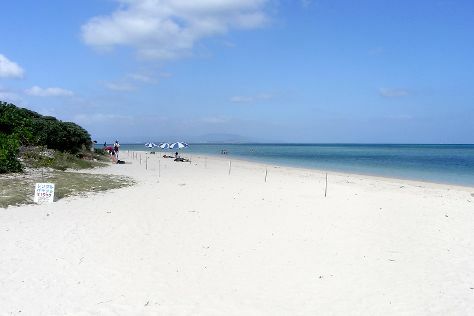 October in Miyakojima sees daily highs of 32°C and lows of 27°C at night. Wrap up your sightseeing by early afternoon on the 17th (Tue) to allow time for travel to Tokyo. Discover out-of-the-way places like Omotesando and Tokyo City View. For shopping fun, head to Tsukiji Market or Ginza. The adventure continues: take a stroll through Asakusa, admire the masterpieces at Tokyo National Museum, admire the natural beauty at Shinjuku Gyoen National Garden, and don't miss a visit to Meiji Jingu. For ratings, more things to do, reviews, and other tourist information, you can read our Tokyo itinerary planner. You can do a combination of taxi, flight, and bus from Miyakojima to Tokyo in 4.5 hours. Traveling from Miyakojima in October, expect Tokyo to be slightly colder, temps between 25°C and 21°C. Finish up your sightseeing early on the 21st (Sat) so you can travel back home.